On this 2.5-hour shore excursion from Skagway port, travel by coach to the White Pass Summit and learn about the stampeders’ journey during the 1898 Klondike Gold Rush. Spot wildlife like caribou and bear along the way, marvel at the landscapes of rivers, glaciers and waterfalls, and take a commemorative photo at the ‘Welcome to Alaska’ sign. Port transport included. After port pickup from Skagway, your comfy coach takes you along the Klondike Highway to White Pass Summit. Your route parallels the White Pass Railroad, built in 1898, as you ascend 3,292 feet (1,003 meters) in elevation. Marvel at the rugged terrain that changes from waterfalls, rivers, mountains and glaciers to alpine tundra near the White Pass Summit. You’ll also travel through a stunted 300-year-old forest. These remote landscapes inspired nature-loving authors like Jack London and Robert Service. As you listen to your informative guide about the history of the Alaskan gold rush, keep watch for wildlife, including caribou and bears. 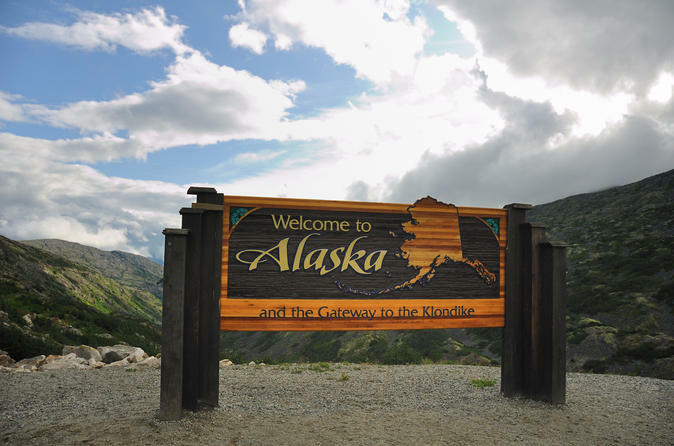 During the return journey to Skagway, stop at the ‘Welcome to Alaska’ sign and take a photo as a souvenir of your travels in the Alaskan wilderness. 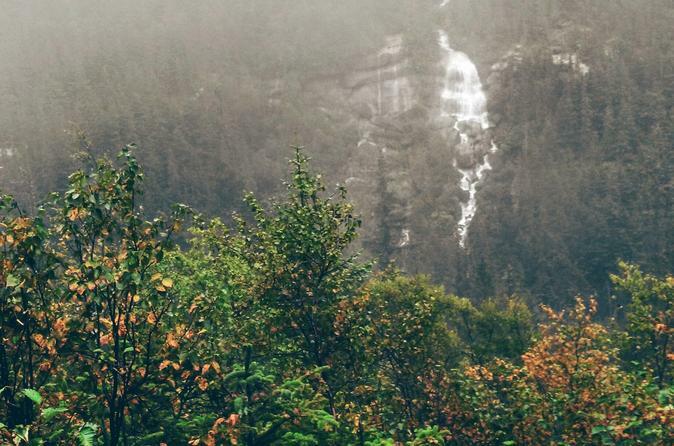 Your 2.5-hour shore excursion ends with transport back to Skagway port. Please note: You must bring a valid passport as this tour takes you into Canada. We will ensure your timely return back to the ship in Skagway for this activity. If your ship is delayed and you are unable attend this activity, your money will be refunded. See our terms and conditions for full details.